Before Song Lu leaves for his new job sorting and delivering dead letters for Hong Kong’s post office, one of the prostitutes next door gives him a freebie while his mother is in the next room telling fortunes. On his way to work he helps some neighborhood men with a puzzle, then arrives at a building full of disorganized piles of undelivered envelopes. 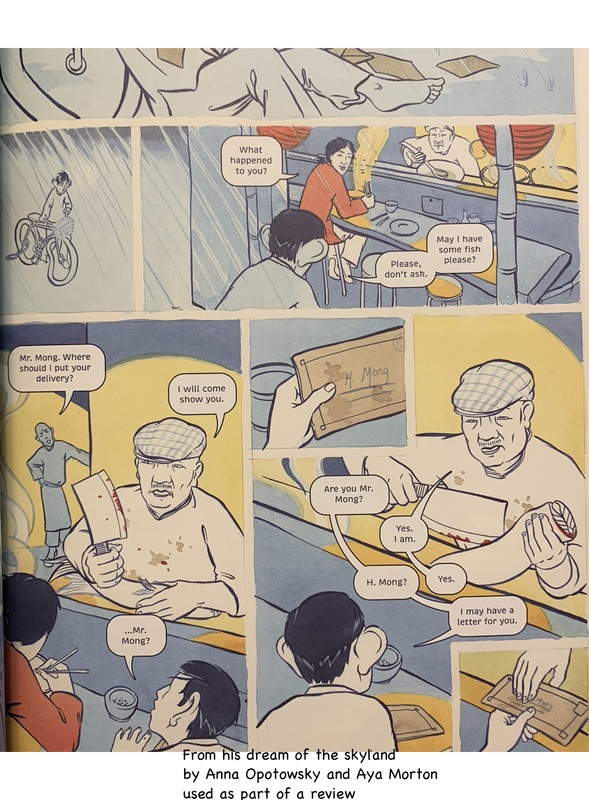 Lots of soft blues and white give artist Morton the chance to use other colors to make seemingly random details pop, and lend nearly every page a sense of dreamlike wonder as Song heads to the Walled City of Kowloon (and elsewhere) to try deliver letters. There are gangsters and acrobats, plus Song’s friends and family in the mix along with a few mysteries besides the undelivered letters, and a tragedy or two. 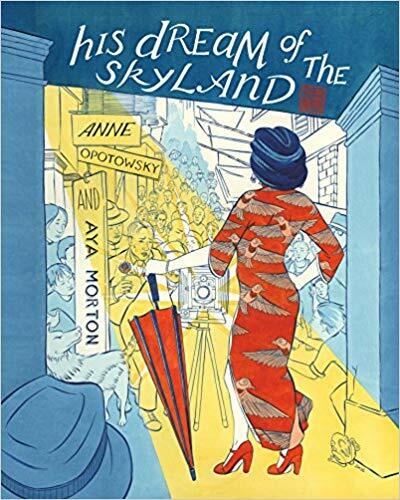 This is a beautiful graphic novel, and I can’t wait to read the rest of the trilogy.